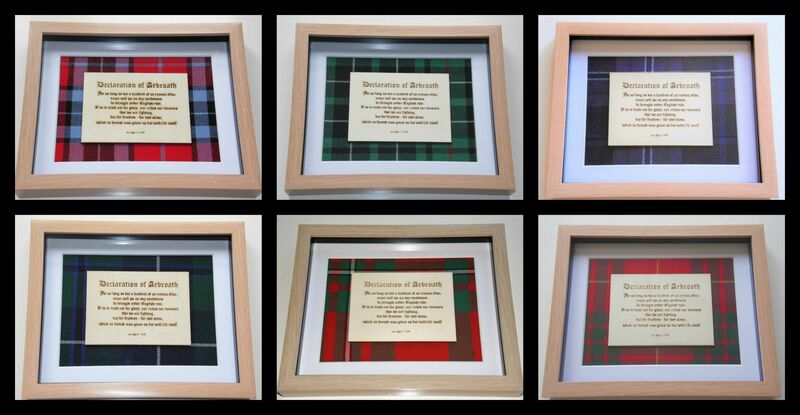 Saltire Custom Creations Burns Rose A wooden cut out of a rose with this popular Burns quote engraved, added by request and available in the tartan of your choice.Comes in a 10" x 8" wooden box frame which can be wall mounted or free standing. Please allow 7-10 days from ordering until delivery. 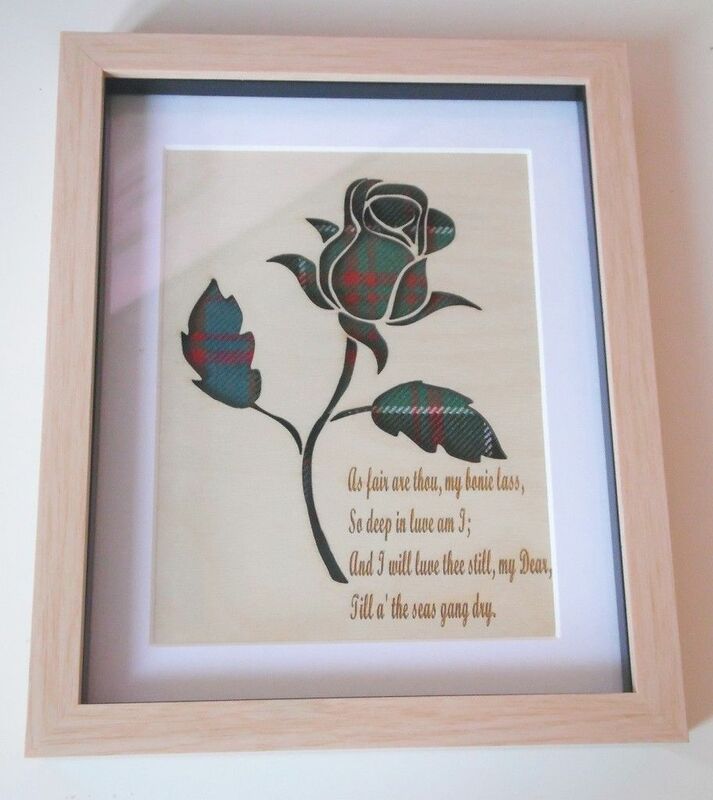 A wooden cut out of a rose with this popular Burns quote engraved, added by request and available in the tartan of your choice.Comes in a 10" x 8" wooden box frame which can be wall mounted or free standing. Please allow 7-10 days from ordering until delivery. 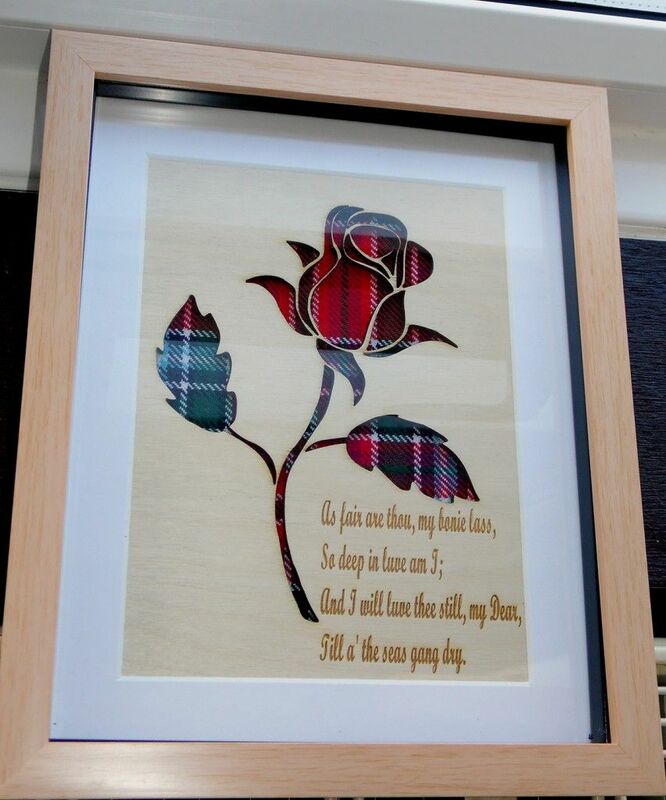 A cut out of a rose with this popular Burns quote engraved, added by request and available in the tartan of your choice.Comes in a 10" x 8" wooden box frame which can be wall mounted or free standing. 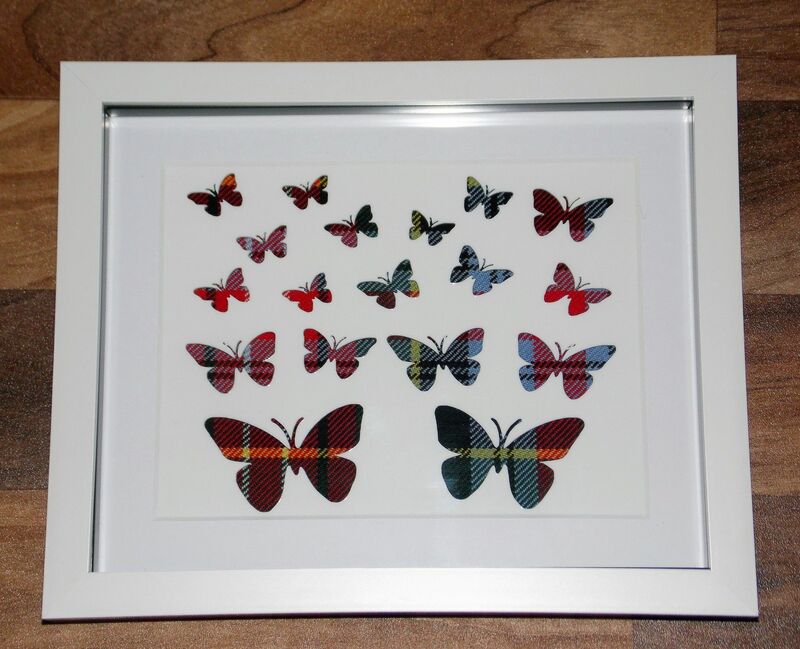 Lasercut acrylic 'Home' sign mounted on the tartan of your choice, box frame measures 10" x8" and can be wall mounted or freestanding. Wooden framed photographic engraving of your choice. Engravings are done on birchwood/beechwood ply. Not all photos are fit for engraving. Photographs that produce the best results usually contain a wide depth of shading that range from light to dark. Photographs containing large areas of a single color typically do not engrave well – especially when working with wood. We recommend avoiding pictures with expansive backgrounds containing only one or two small subjects. For optimum results we recommend pictures with a resolution of 300 or 400 DPI. Digital cameras over 2.0 mega pixels produce great high-resolution images that engrave nicely. We have however worked with pictures are not of the typical quality needed for engraving such as old scanned photographs so feel free to contact us if you are not sure, If in the event that a picture submitted with an order is not good enough for us to produce a good result a full refund will be issued.However we have yet to come across a case where we could not deliver an engraving that the customer was not happy with.